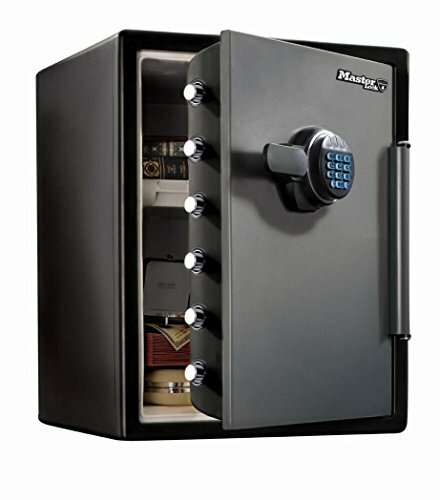 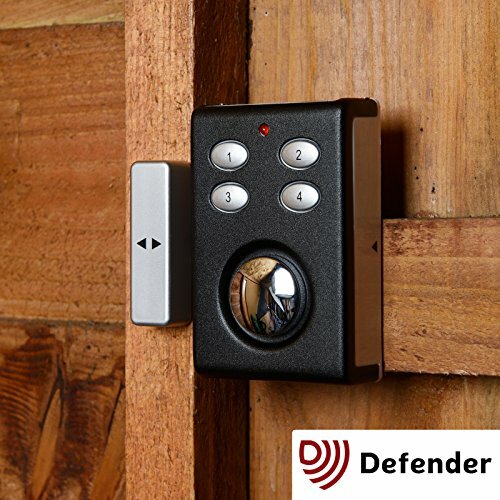 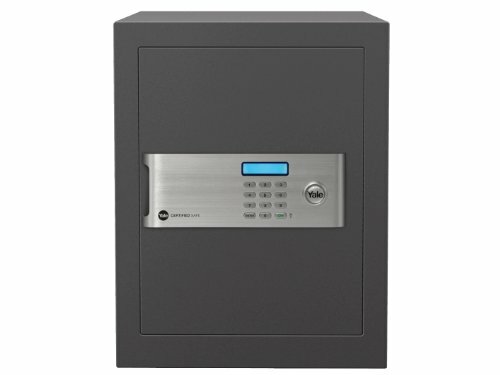 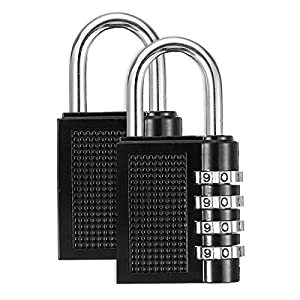 4-dial combination lock for improved security – each lock can be set to its own combination. 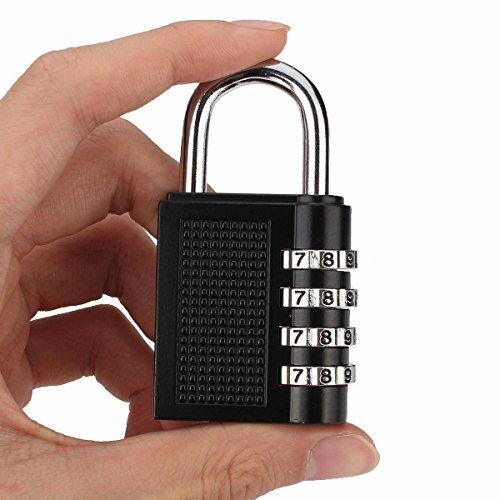 With a combination code you set formed by 4 digit numbers,you’re no longer troubled by traditional dial locks which makes you spinning. 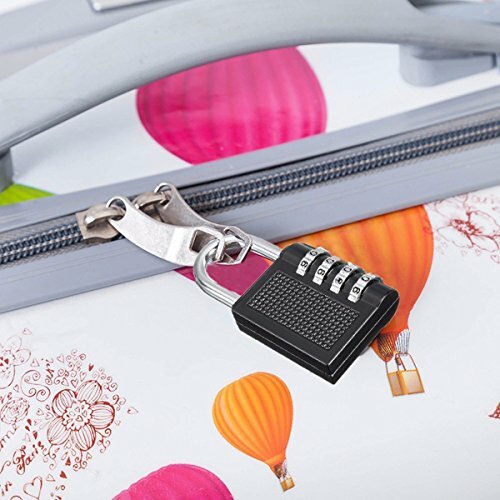 Ideal for school gym locker,luggage suitcase baggage locks,filing cabinets,toolbox,case. 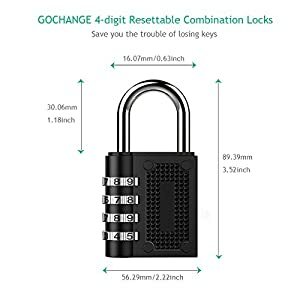 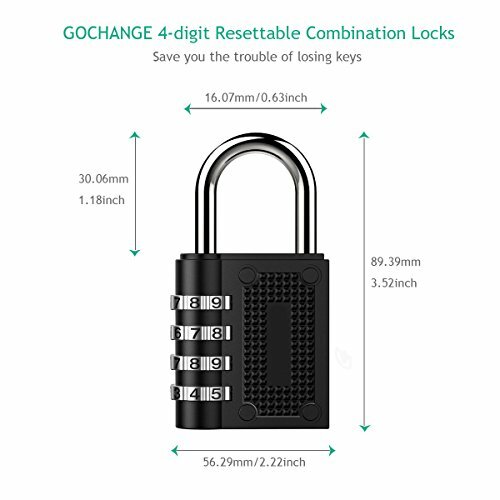 GOCHANGE 4 Digit Combination Lock use the latest zinc alloy material to better keep your own belongings.With a combination code you set formed by 4 digit numbers,you’re no longer troubled by traditional dial locks which makes you spinning.Portable and safe enough for light duty use. 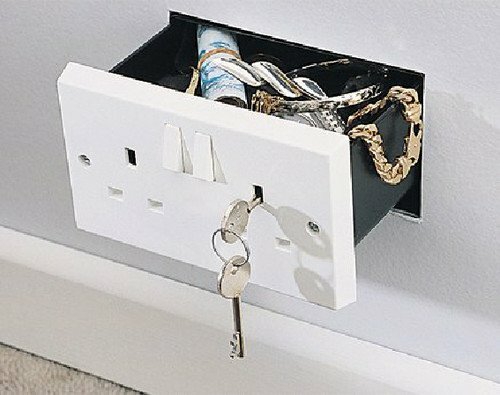 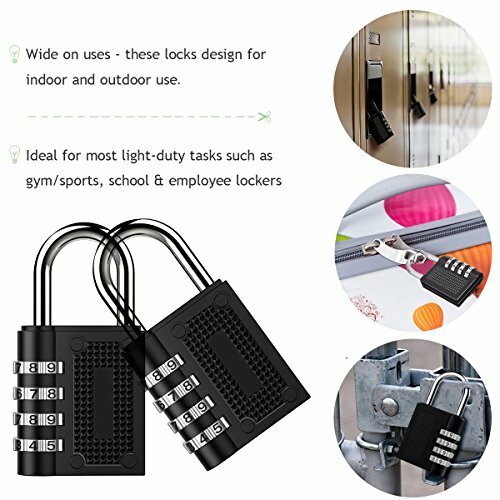 Applications: use for school gym locker,luggage locks,filing cabinets,toolbox, case and etc. 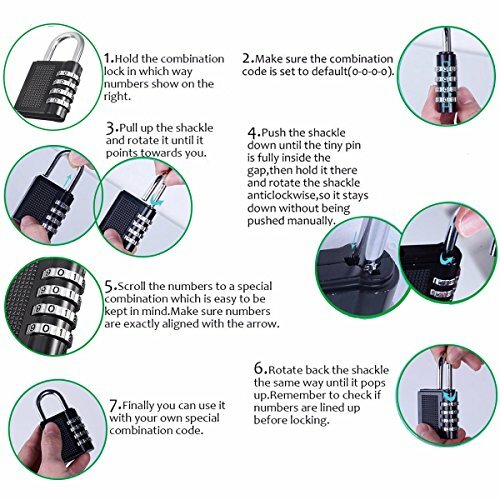 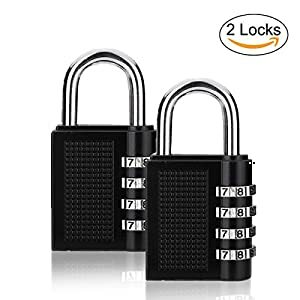 1.Hold the combination lock in which way numbers show on the right.Make sure the code is set to default(0-0-0-0).Pull up the shackle and rotate it until it points towards you. 2.Push the shackle down until the tiny pin is fully inside the gap.Hold it there and rotate the shackle anticlockwise,so it stays down without being pushed manually. 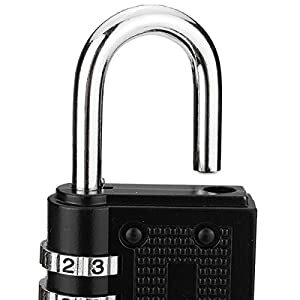 3.Rotate back the shackle the same way until it pops up.Remember to check if numbers are line up before locking. Component materials: zinc alloy & plated steel. Compact Size:2 pack wrapped up.Easy to carry.